No time to waste. Focus on the 2nd ODI. Very important for both teams. 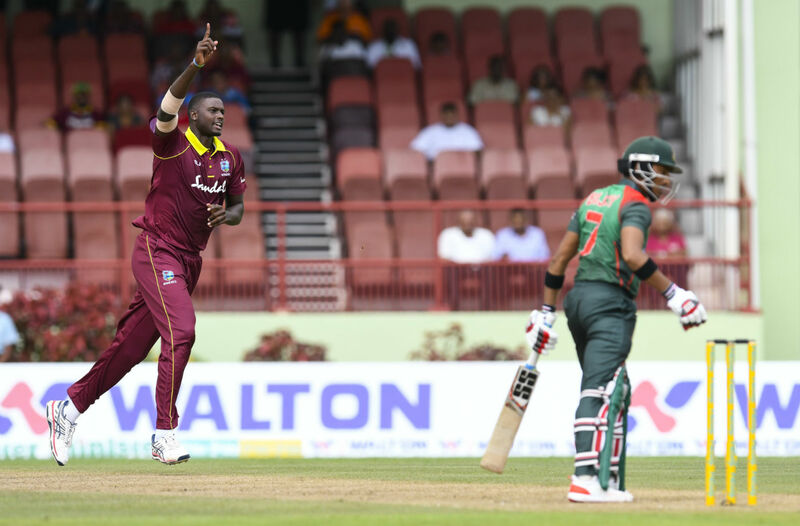 Will we see a fightback from Windies? Or will Bangladesh seal the deal for their first overseas series win in 9 years? In hindsight, the record 2nd wicket partnership for Bangladesh made a big difference in the win for BD. There are mixed views in the forum on this partnership: they batted too slow, they were targeting personal landmarks, etc. They gave a few chances to the Windies fielders, but they could not capitalize on them. Mushfiqur. Who is this guy? Prime. He came in and made 30 in no time. Does he need to go up in the order? Or play the finisher role as in the 1st ODI? Bangladesh's bowling is top-notch right now. Skipper Mashrafe in great form, very disciplined. Mustafizur providing good support. Rubel was inconsistent with his lines. Bangladesh might play him again in this game. The spinners were miserly. Hope to see a better performance from Windies. BD might drop Sabbir and Anamul for Shanto and Liton Das. It's unlikely Mushfiqur will give up the gloves. Windies might drop Rovman Powell or probably stick with the same team.